Happy Friday guys! 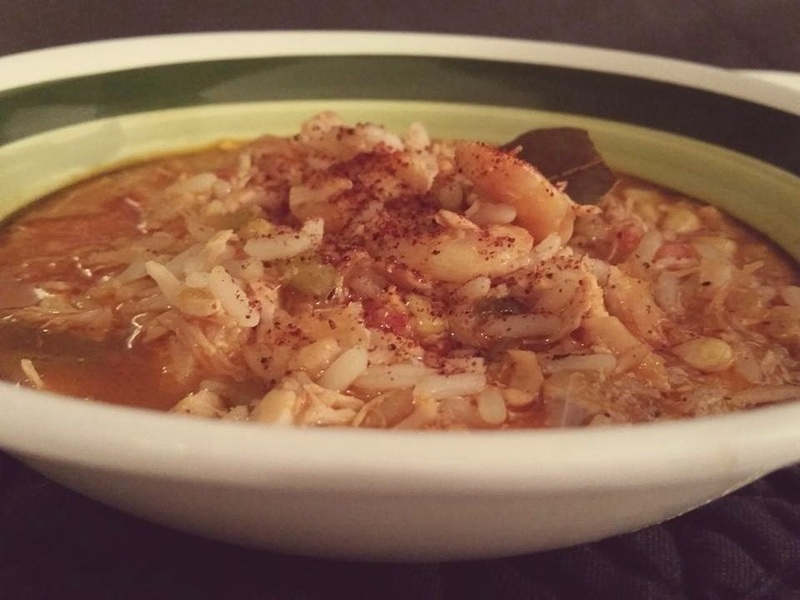 I thought this was the perfect time to post about this spicy & hearty Chicken & Shrimp Jambalaya after our mini snowflake storm yesterday! 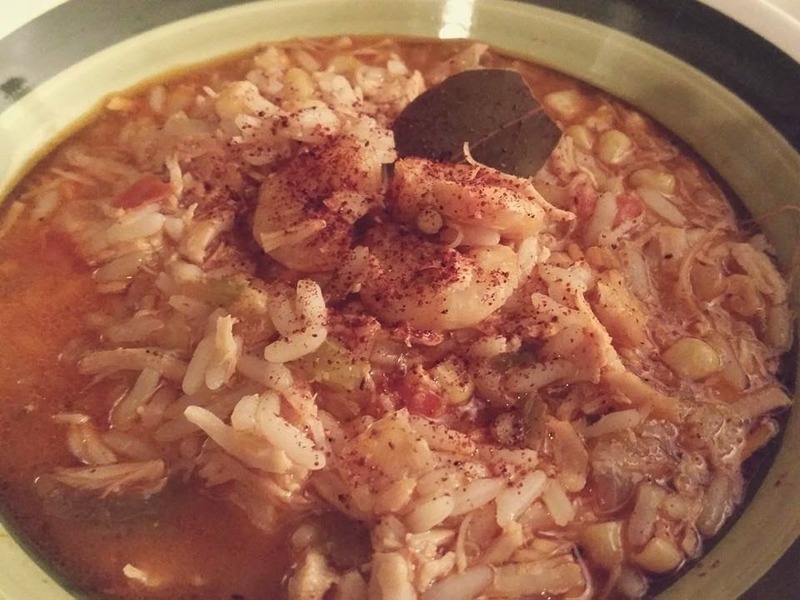 Nothing better then a winter weekend with some hot & spicy Jambalaya while snuggled up!! Here's the recipe ,I hope you enjoy it as much as we did !! Combine all the ingredients into the crock-pot on high for 2-3 hours or until thick & flavors have emerged ! While letting the Jambalaya cool, combine 2-3 packages Uncle Ben's plain white rice . 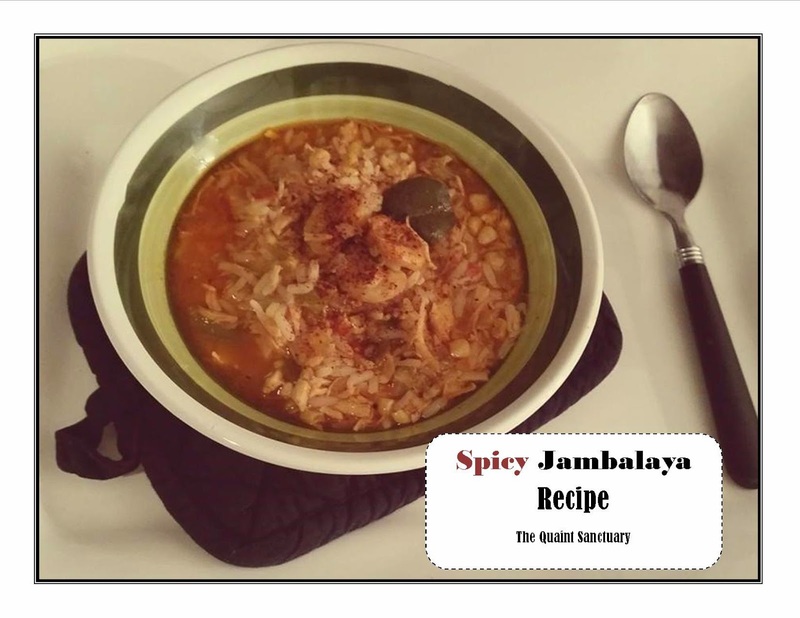 Take a rounded scoop of rice & place in a bowl & top with 2-3 scoops of Jambalaya & sauce!